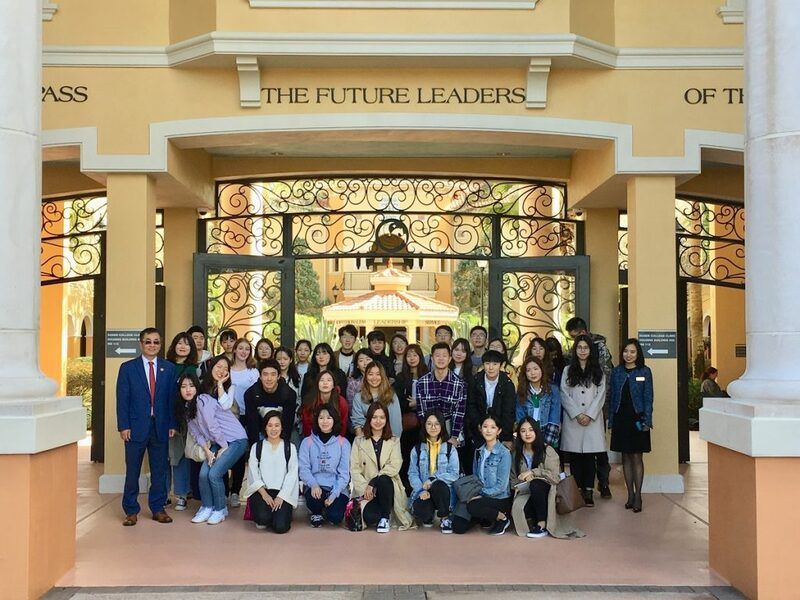 Excited young students from South Korea, China and Japan arrived at the UCF Rosen College of Hospitality Management on January 22, 2019, to start six months of education and hands-on work experience as part of the Disney International Undergraduate Program. Thirty five students are in this spring’s group; in their home countries they study at Sejong University and Kyung Hee University in South Korea; Sun Yat-Sen University, Beijing International Studies University (BISU), Nankai University and Jinan University in China; and Rikkyo University in Japan. Jinan University and Rikkyo University are brand new partners to the Disney program at Rosen College. This is the first year their students have made the 29-hour trek from the other side of the globe to study hospitality and tourism in one of the most visited areas in the world, Orlando, Florida. The Disney programs runs from January 22 through June 13, 2019. During that period the students will take classes in Entertainment Arts & Events with Dr. Kelly Semrad, Culture & Cuisine with Chef Kate Wilson, Hospitality Human Resources Management with Dr. Wei Wei and Academic Internship with internship program director Jessica Wickey. The students attend classes one day a week, on Thursdays. Upon successful completion of the program, students are awarded a Certificate and 12 credit hours, which will transfer to their home institutions towards their degrees. When not in class the students get hands-on internship experience, working in two different roles over the course of the six-month period, at various postings throughout the Disney Theme Parks & Resorts. Students work between 30 – 37.5 hours per week gaining valuable experience in guest engagement and hospitality management. They live on Disney property in one of four apartment complexes with students from all over the world. To learn more about the Disney Cohort, click Here.